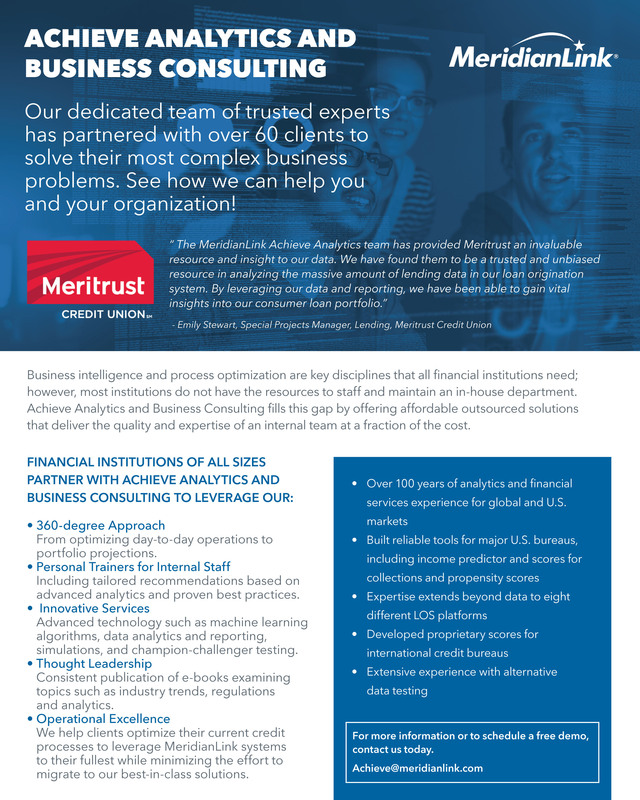 See how Achieve could help your financial institution. Business intelligence and process optimization are key disciplines that all financial institutions need; however, most institutions do not have the resources to staff and maintain an in-house department. Achieve Analytics and Business Consulting fills this gap by offering affordable outsourced solutions that deliver the quality and expertise of an internal team at a fraction of the cost. Review the major features and benefits of Achieve in one handy document!